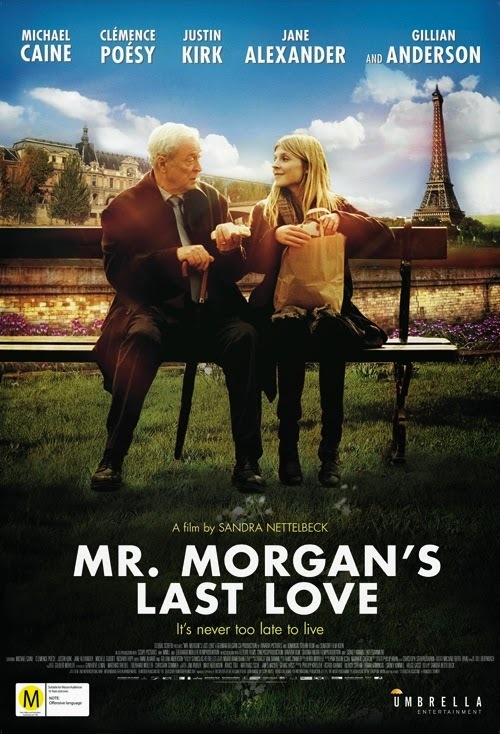 The tag line for Mr. Morgan's Last Love - now titled simply Last Love - is simply deceptive. "It's never too late to live again." Who are they kidding? 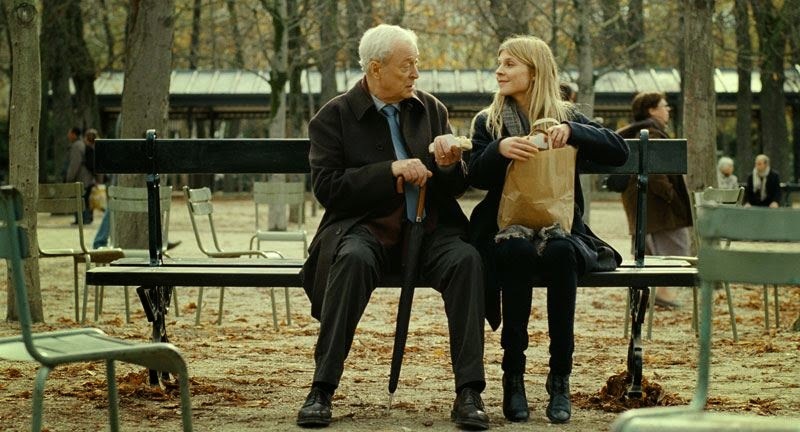 I won't tell you how the film ends but the advertising for the movie presents the friendship between an elderly American widow, Matthew Morgan (Michael Caine) and a young dance teacher, Pauline (Clémence Poésy) as a sort of platonic love story. Pauline reminds Matthew of his wife, Joan (Jane Alexander) who died three years ago while Matthew reminds Pauline of her deceased father. While this could be a recipe for a lovely alliance based on respect and gentle affection, director Sandra Nettelbeck sends us mixed messages. She shoves the two together, having them sit so closely together on a park bench that they appear to be a couple on a date, by having Matthew look longingly at Pauline throughout, and by injecting a flirty scene where Matthew crashes one of her dance classes. There are times when it's difficult not to see the driving force behind the friendship, at least from Matthew's pov, as something other than strictly platonic. Does the lonely widower see some sort of potential for love in his relationship with Pauline? Not surprisingly, when the film devolves into a romance between Pauline and Morgan's angry son Miles (Justin Kirk), Matthew doesn't take it well. By the way, Gillian Anderson breezes in as Morgan's daughter, she's much more interested in shopping than with whatever's up with pop. Now you know I love a good cry, but the ending to this movie left me depressed and confused. I really have no words for the dark view director Sandra Nettelbeck presented to the world. The best part of Last Love? The French architecture and design, the vistas of wide tree-lined boulevards. But you know what, even if you can't get to Paris in person, I wouldn't watch this film unless you like to wallow in the sadness. My French is pretty primitive ala 'ou est la bibliotheque? ', so help me out here; how do you say ... what were they thinking? If you need a French fix, a better choice would be to visit Paulita's Dreaming of France meme, published every Monday. Last Love, based on the novel, La Douceur Assasine by Françoise Dorner is available via Amazon.com. I didn't know it was based on a French book. That explains the overall sadness. I enjoyed the scenery and think I felt a little more positive about the movie than you did, but I'm not as much as a connoisseur as you are, so a little more gullible. Thanks for playing along today. Thanks for the review. Now I know what to skip. I'd never come across a real good movie on a theme like this, not even the great Peter O'Toole's Venus. 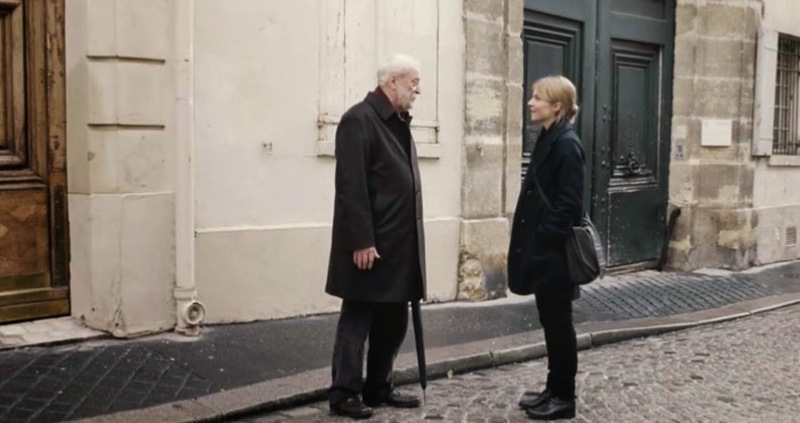 On another note, but similar, have you seen Le Week-End, with Jim Broadbent and Lindsay Duncan? I missed it at TIFF last year and never had the chance to see it. Revitalizing a stalemate of an old couple's relationship in Paris. Hope I'll have the chance to see it on the big screen. Le Weekend sounds fantastic and quirky. At your and Louise's nudging, I've just found it is playing at a theater here so I am bound and determined to check it out in the next couple of weeks. I'll let you know! Oh, what a shame that you were disappointed, I've been looking out for this one, but no sign of it emerging in Australia as yet. Still I'm enough of a Paris tragic that I'll watch it when I find it. I'm glad to see the Paulita liked it a bit better. I will be going to see Le Weekend in a few weeks, my local cinema is doing a series of weekly art house type movies this year, and Le Weekend is coming up at the end of the month. I don't know anything else about it about from the Paris setting but will report back one Monday in early April. Most of this film wasn't even shot in Paris-which was disappointing. I kept trying to figure out were scenes were filmed only to find out it was, I think, Belgium. I saw this a month or so ago and now can't remember. Wasn't that good a film, I agree. I don't know why you say that; the ending credits say that the film was shot in Paris, as well as Cologne, Brittany and Belgium. 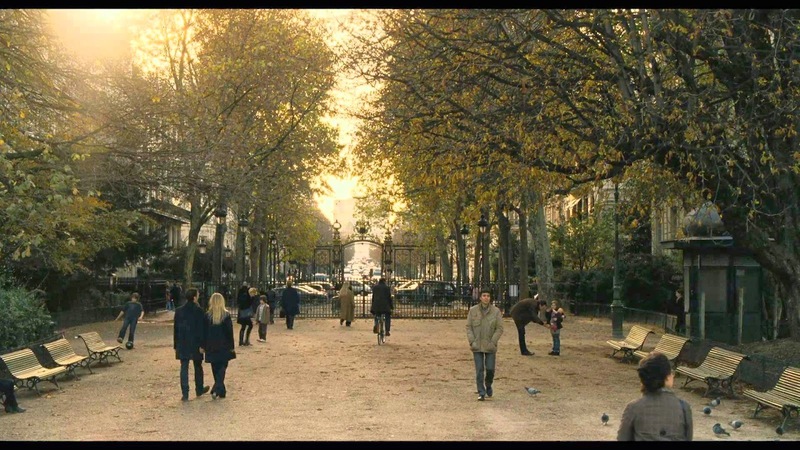 Certainly the interior shots could be shot anywhere but for the most part, Paris is Paris.